3M Fall Protection said it has learned of the possibility of a manufacturing defect in a dorsal d-ring utilized in ExoFit NEX™ harnesses manufactured between January 2016 and December 2018. Although there have been no reported incidents involving this condition, a dorsal d-ring with this defect will not support the load in a fall arrest event which could result in serious injury or death. Harnesses manufactured only within this date range require immediate inspection for lot number 09P1 stamped into a dorsal d-ring. “We believe that only one harness was manufactured with a defective D-ring, but we urge inspection of all potentially affected harnesses out of an abundance of caution in the interests of worker safety,” 3M said in their inspection notice. 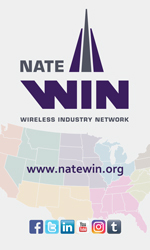 Climbers are being requested to immediately inspect their harness following the steps in the above graphic. 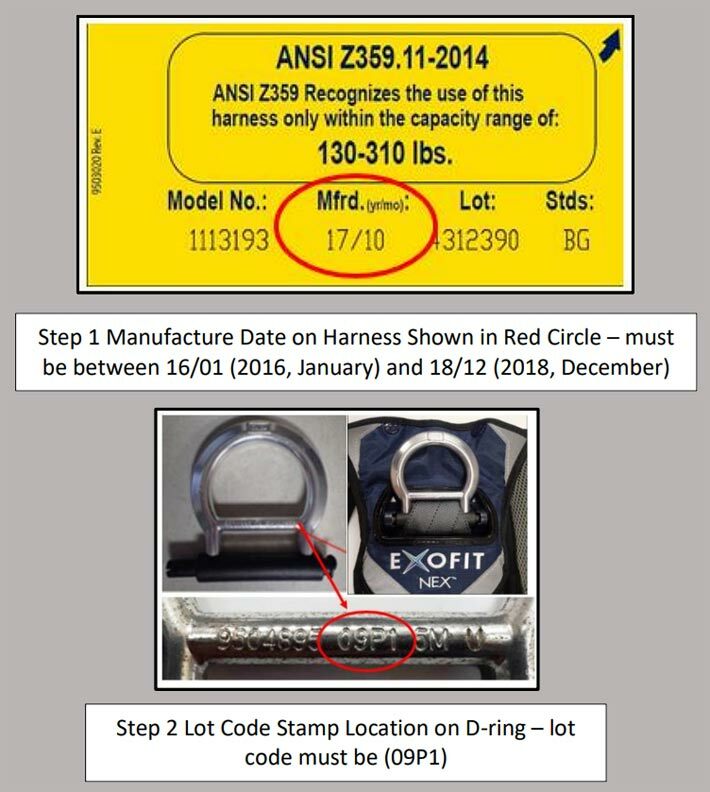 3M said that both the manufactured date range (2016, January through 2018, December) on the harness label and the lot number code 09P1 stamped on the D-ring must be present on the same harness for the harness to be considered suspect and removed from service. All other harness/d-ring combinations are acceptable for use. If you find an affected harness, take the unit out of service immediately. You can contact 3M Customer Service at (833) 638-2697 or at 3musfpserviceaction@mmm.com to return your harness and a replacement harness will be provided free of charge.